Hamilton May presents a unique apartment located in a townhouse on the Zamkowy Square, in front of the Royal Castle. Hamilton May specializing in high-standard property, presents the most unique offers of apartments available for sale in the famous Warsaw's Old Town. 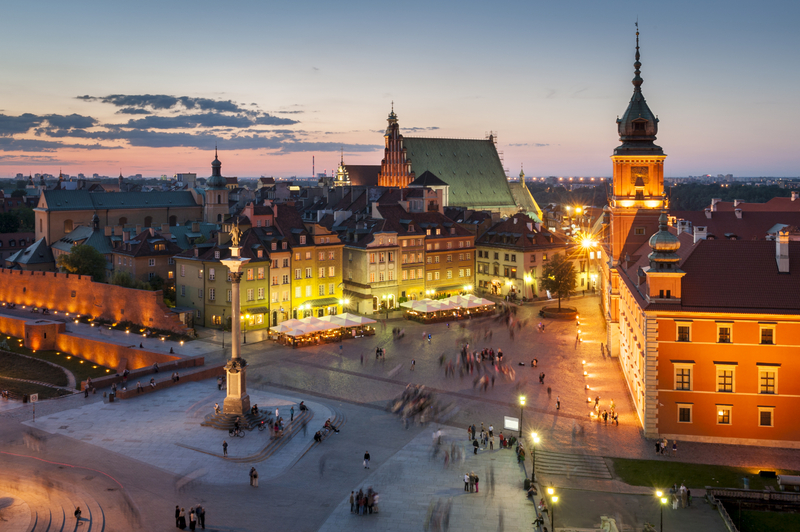 Apartments in the Old Town are popular among people valuing the prestigious location and proximity to both historical, and business centers of Warsaw. Apartments in the area are mostly purchased by local investors. Prices are dependent on finishing standard and size - they vary from 10000 to 16000 PLN/m2. Typically, apartments available are rather small, usually comprising one bedroom, however, larger apartments are also common. The Old Town, destroyed in 90% during the WW II, was completely rebuilt. In the 80's it has been placed on the UNESCO's list of World Heritage Sites for its unprecedented scale of reconstruction. Most buildings come from XVI and XVII century, although only their facades were brought to the original state - interiors were usually changed to fit modern use. This allowed for use of modern day technologies.